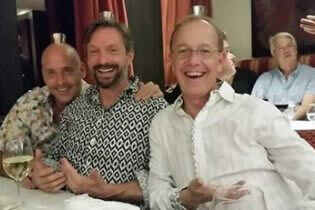 8-day all-gay adventure featuring 6-night Danube Christmas Markets gay riverboat cruise from Nuremberg, Germany to Vienna, Austria and 2 pre-cruise nights in Munich, Germany. 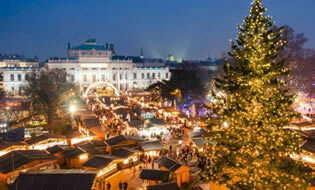 Your all-inclusive adventure begins with two days in the heart of Munich, where you’ll find one of the largest and most well-know Christmas Markets in Germany. 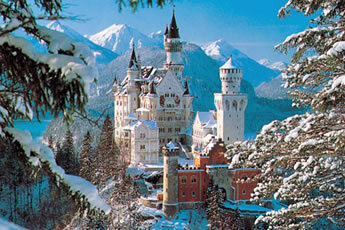 Enjoy a full-day excursion to the fairytale castle Neuschwanstein, perched among the natural splendor of the Alps. 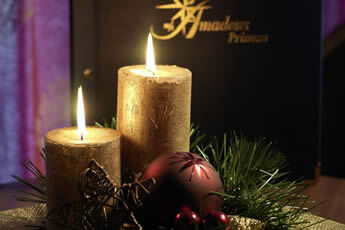 The Amadeus Star is the 16th river cruise ship of the Austrian ship operator, Luftner Cruises. Similar to its prominent predecessors, this ship continues with the company’s orientation to high quality river cruises in Europe. This new vessel follows the award-winning model of Amadeus’ new generation Silver class ships, but offers even further innovative developments. The popular concept of spaciousness has been maintained. 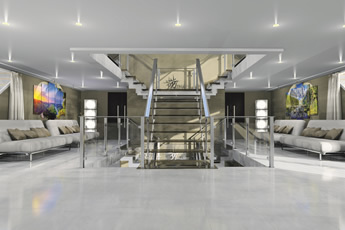 This includes not only generous public areas but also spacious cabins: 12 large suites impress with an outdoor balcony and a cozy reading corner. 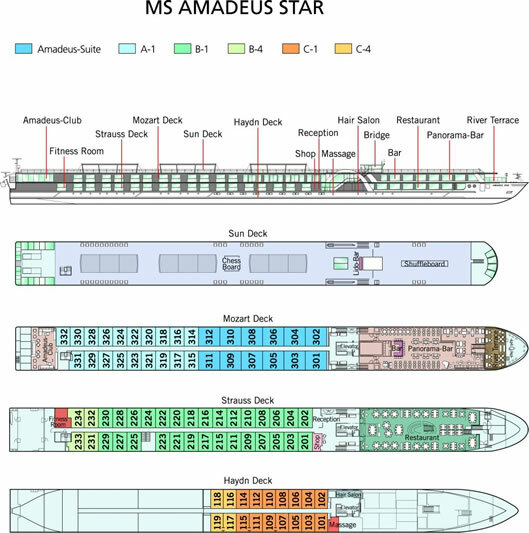 Staterooms on the Mozart and Strauss Deck feature automatically lowering panoramic windows which extend across the entire cabin front and have been specially designed for the Amadeus ships. 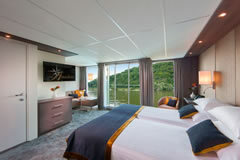 All deluxe cabins and suites offer comfortable, spacious bathrooms, infotainment systems, flat screen television, telephone, cabin safe, minibar and individually regulated climate control. Upon arrival to Munich’s Franz Josef Strauss Airport (MUC), you will be met by our representatives and transferred to the Hotel Sofitel Munich Bayerpost . After settling into your room, take some time to explore the city on your own. 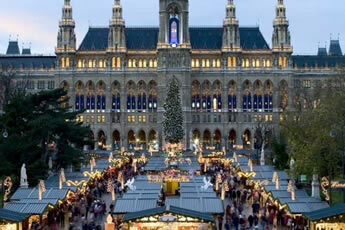 Your city-center hotel is well-situated to visit the Christmas market at Marienplatz. 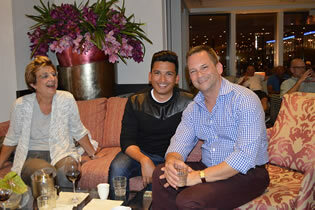 This evening, meet your fellow travelers at a festive welcome reception. Today, a drive through Germany’s picturesque countryside brings us to Neuschwanstein. It is one of three castles built by ‘mad’ Ludwig II of Bavaria, who was born in 1845 and died in 1886. Its Neo-Romanesque architecture imitates that of a medieval castle and, in turn, Neuschwanstein was the inspiration for Disney’s Magic Kingdom. The natural splendor of the surrounding Alps provide the perfect backdrop for this iconic fairytale wonder. Following breakfast at the hotel, we embark on a morning tour exploring the highlights of Munich. We take you to Königsplatz, past famous art museums and along the magnificent avenues Ludwigand and Prinzregentenstraße with their significant buildings and museums, including Ludwig’s Church, the Theatiner Church, the Feldherrenhalle (Hall of Generals), the House of Arts, the Bavarian National Museum, as well as the impressive statue Angel of Peace overlooking the city. 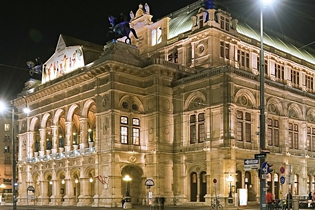 We also visit Maximilian Street, which leads to the Residence and National Theatre/Opera House among many other famous places. 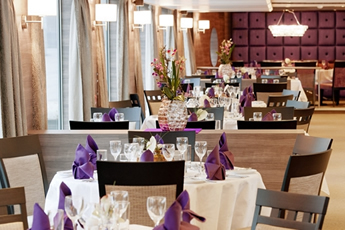 Following lunch on your own, we travel from Munich to Nuremberg to board our comfortable home for the next six nights, the river boat Amadeus Star. 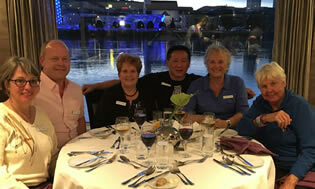 Tonight we enjoy a festive “welcome aboard” dinner. 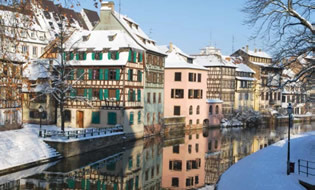 This morning, visit the Bavarian town of Roth, where the city tour of Nuremberg starts. The tour will take you to the most significant monuments and sights in picturesque Nuremberg. Don’t miss the opportunity to visit the romantic Christmas market and taste the world-famous Nuremberg lebkuchen (gingerbread) before returning to your ship, where we begin our journey down river, across the Continental Divide. 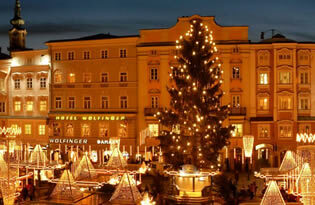 A full day is spent in festively adorned, historic Regensburg. This magical destination where time seems to stand still, is best explored during a morning guided sightseeing walk. After lunch, explore on your own or opt to join an excursion to the Christmas market in the royal Thurn and Taxis Castle. Revel in the festive pre-Christmas atmosphere filled with the aroma of roasted almonds and stalls filled with local handicrafts. During breakfast, arrive in Passau, also known as the “City of Three Rivers”, situated at the confluence of the Danube, Inn and Ilz Rivers. In the morning, enjoy the romantic old town with its historic buildings during the course of a guided walk. 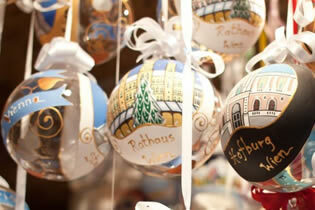 The afternoon is a perfect time to visit the traditional Passau Christmas market. 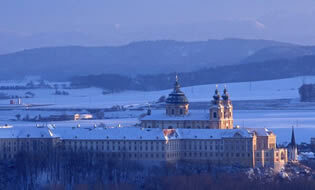 Early this evening your ship will depart this lovely city and head towards Melk. 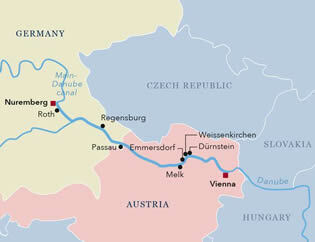 In the morning, we reach the UNESCO World Natural Heritage region of the Wachau. 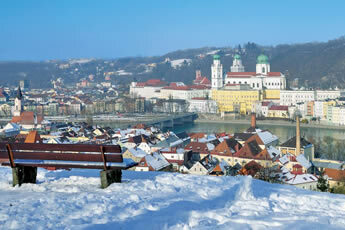 Your ship docks in Melk, where you’ll enjoy an excursion to Melk Abbey and Dürnstein. Afterwards, defy the weather and join us for a mug of warming glühwein (mulled wine), after which you will return to your ship. The rest of the day is spent on board, where you will have a wonderful view of the passing winter landscapes as your cruise ship travels towards Vienna. 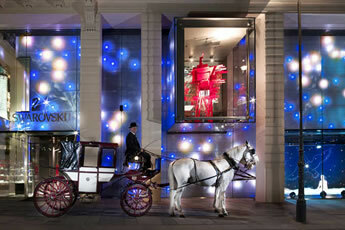 Enjoy exploring wintery Vienna today! A morning city sightseeing tour in a comfortable bus takes you past the most beautiful sights of the Austrian capital. In the afternoon, you have the opportunity to tour the magnificent Schönbrunn Palace, as well as to visit the traditional, romantic Christmas market in front of the palace. 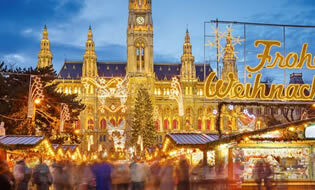 Your Christmas Markets cruise concludes this morning with disembarkation after breakfast and an airport transfer to Vienna airport. Or, you may wish to extend your stay in this glorious city. The 5-star Sofitel Munich Bayerpost is situated in the heart of the city, just 109 yards (100 m) from Munich's main train station. This heritage-listed building impresses with avant-garde architecture and a cosmopolitan design reflecting "l'art de vivre à la française”. Built in the Wilhelminian style, and offering a view over the Alps, French savoir vivre blends with Bavarian joie de vivre in the 396 rooms and famous banquet hall. Relax at So SPA, with its heated pool, steam bath, sauna and softly lit relaxation rooms built out of stone and beautiful tiles. The rooms, suites and apartment are spread across eight floors and are furnished using natural materials. Time to relax in the Salon de Littérature, inspired by poetry and prose. Let the day fade away and enjoy the rain shower, Nespresso machine/tea-making facilities, 48" flat screen TV, free WIFI, Bose sound system, 0.5-l Evian daily. An homage to the "typical" Parisian brasserie. The focal point is our open-style kitchen, which brings a piece of France to Munich with its cleverly prepared dishes and selected ingredients from the region. The bar is named after the River Isar, which flows into Munich from the Alps. The decor combines green silk, dark wood and black leather, and patrons can enjoy various spirits, contemporary cocktails and delicious snacks such as Bayerpost curried sausage. Single - $TBD ; Double - $TBD, per person, breakfast included. Comfortable clothes and good walking shoes while on land. 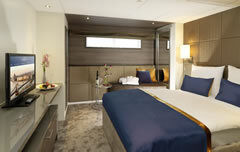 And, since there are spa facilities, and fitness room on the ship, we suggest workout clothes. Jackets and ties are not required. We recommend country club casual for dinner. For Austria and Germany the currency is the Euro. Mozart Deck. (26.4 m² / 284 sq.ft.) Comfortable corner sofa, luxurious bathroom, walk-out exterior balcony, mini-bar, walk-in wardrobe, choice of bed configuration (double or twin bed), flat-screen television, individual climate control, en-suite bathroom with shower/WC, bathrobe, hair dryer, direct dial telephone and in-room safe. Initial deposit is $850 per person, with final payment due by August 5, 2019.